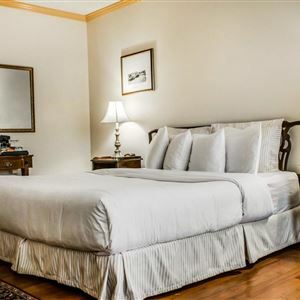 Property Location With a stay at Admiral Fell Inn, an Ascend Hotel Collection Member in Baltimore (Fells Point), you'll be minutes from Baltimore Tattoo Museum and close to National Aquarium in Baltimore. 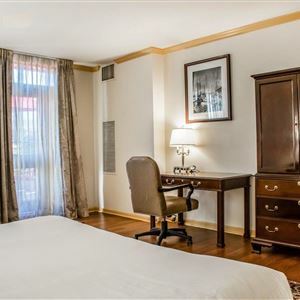 This historic hotel is within close proximity of Baltimore Civil War Museum and Pier Six Concert Pavilion. Rooms Make yourself at home in one of the 80 air-conditioned rooms featuring flat-screen televisions. Complimentary wired and wireless Internet access keeps you connected, and cable programming provides entertainment. Private bathrooms with shower/tub combinations feature complimentary toiletries and hair dryers. Conveniences include desks and coffee/tea makers, as well as phones with free local calls. Amenities Pamper yourself with onsite massages or make use of the other amenities, which include complimentary wireless Internet access and gift shops/newsstands. Additional amenities at this hotel include wedding services, a fireplace in the lobby, and tour/ticket assistance. Guests can get around on the complimentary shuttle, which operates within 2 mi. Dining Satisfy your appetite at one of the hotel's 2 restaurants. Quench your thirst with your favorite drink at a bar/lounge. Business, Other Amenities Featured amenities include complimentary wired Internet access, a business center, and limo/town car service. With a stay at Admiral Fell Inn, an Ascend Hotel Collection Member in Baltimore (Fells Point), you'll be minutes from Baltimore Tattoo Museum and close to National Aquarium in Baltimore. This historic hotel is within close proximity of Baltimore Civil War Museum and Pier Six Concert Pavilion. Make yourself at home in one of the 80 air-conditioned rooms featuring flat-screen televisions. Complimentary wired and wireless Internet access keeps you connected, and cable programming provides entertainment. Private bathrooms with shower/tub combinations feature complimentary toiletries and hair dryers. Conveniences include desks and coffee/tea makers, as well as phones with free local calls. Pamper yourself with onsite massages or make use of the other amenities, which include complimentary wireless Internet access and gift shops/newsstands. Additional amenities at this hotel include wedding services, a fireplace in the lobby, and tour/ticket assistance. Guests can get around on the complimentary shuttle, which operates within 2 mi.